The amount of fines is important whether you are running a column or using a scavenger in a batch reactor. Whether in SPE or Flash cartridges, fines will cause channeling, backpressure and clugging. 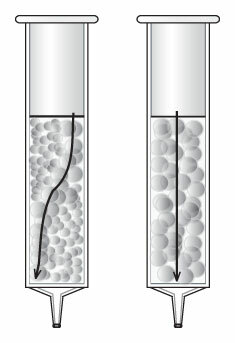 When you are working in a batch reactor, fines can clug your filter or pass through and contaminate your final product. Our silica gel has the lowest level of fines in the industry and we maintain strict quality control to ensure excellent lot-to-lot reproducibility.